So far “Modern Romance” has been the title to a song, a movie, and a book, but what about “Modern Luxury?” Romance’s underappreciated cousin, luxury, has been spoiling people for years, whether it’s with all the right details in the right places, those extra special touches, or just by being all-out, eye-poppingly gorgeous. Isn’t it time luxury was given its due? Think about the last time you felt you were somewhere truly luxurious. It wasn’t just about gold-plated this or marble-topped that – it was the fact that everything just seemed like it had the perfect place for itself, and you could find whatever you needed as soon as you needed it. It’s the difference between making coffee when everything you need is all sorted and organized right in front of you, or digging through the cupboards and looking behind plates and boxes for the coffee, mugs, filters, and sugar. By the time you’ve made a cup, you’re already stressed! 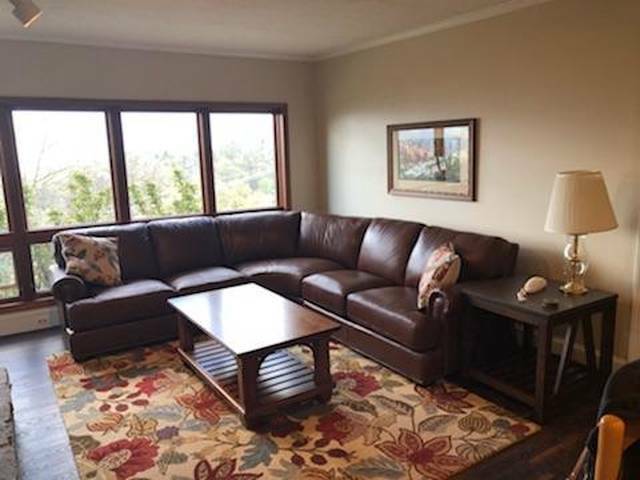 Condos in Gatlinburg from Ski Mountain Chalets are furnished with the understanding that a perfect home-away-from-home has everything you need in all the right places. It’s a kind of simplicity that requires attention and thoughtfulness, and who can’t appreciate that? You need a little bit of order to have some luxury, but that’s not all you need. You need something that you can’t find in your day-to-day life. Something that really makes you feel like you’re stepping out of the ordinary, like you’ve settled into a newer, fancier way of doing things, and that these might just be the higher standards you’ll require across the rest of your life from now on. Maybe. It’s up to you, after all. Gatlinburg condos come complete with amenities like hot tubs, swimming pool access, big stone hearths with electric, gas, or wood-burning fireplaces, fully-equipped kitchens with all the appliances you’d expect, and luxurious, plush furniture in the living rooms and bedrooms. Maybe you will accept this as your new normal, after all! When all is said and done, there’s one thing that no luxury item can do without, and that’s the “wow” factor. Luxury always needs something that takes your breath away, if only for a moment. Like many of our condos in Gatlinburg, the view from Windswept 211 definitely delivers the “wow” factor. This 3 BR/2 BA condo comes with 3 Queen-size beds, a sunroom with an incredible view, WiFi throughout, a wood-burning fireplace, handicap accessibility, gorgeously remodeled bathrooms, and close proximity to the Chalet Village swimming pool and hot tub, as well as to downtown and the Great Smoky Mountains National Park. Condos in Gatlinburg aren’t afraid to rely on nature to provide something amazing; the Smoky Mountains always come through for their guests. Gatlinburg condos like Windswept 211 that cater to luxury-minded individuals fill up quickly. Call the team at Ski Mountain Chalets and book the dates you need today!